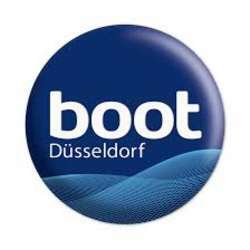 Discover the world's greatest boat & watersports show, Düsseldorf boot, presenting the whole spectrum of maritime life. You can experience boats and yachts of all sizes, exciting sports and the latest equipment. The focus our event will be the sailing section. We’ll meet at the East Entrance of the fairgrounds at 14:00 and proceed to the Sailing Center – Halls 15&16 to stroll among the shiny yachts and discover the latest developments in sailing. I will share with you the highlights of the show from my perspective. Buying an E-Ticket in advance is recommended to get a better rate (€19 for the day). Tickets at the counter will be much more expensive (€25 for the day).